As the popularity of virtual assessment centers increases, more and more organizations and consultancies are moving their brick and mortar assessment centers online. The main reasons for this digital transformation of the practice are enhanced efficiency, lower cost, and better representation of today’s jobs. But the transition is not as straight-forward as one might think. In this webinar, we will discuss the three biggest considerations. Martin Lanik is the is the CEO at Pinsight and holds a PhD in I/O psychology. 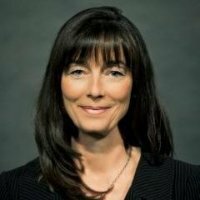 Christine Devaud is the Director of Talent Solutions at Pinsight. To eliminate spam, we cannot accept gmail, hotmail, or yahoo email addresses. I would like to receive updates from Pinsight. I can unsubscribe at any time.